Martin is available for training individual surfers through the internet. 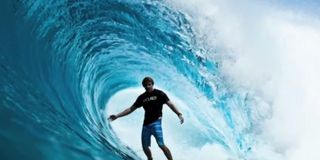 Simply post your surfing online and send Martin the link. Thanks Martin! I never had understood that little detail. This was the best information I received in the last ten years than I surfed. Martin possesses a comprehensive understanding of the developmental stages and strategies to improve surfing technique for surfers of all abilities and levels. His experience at diagnosing the physiological function of the surfer, corrective techniques and practices for progression are systematic and successful. The key area of achievement in Martin’s repertoire is his communication skills. He is personable, clear , succinct, and non judgmental. He has the ability to elicit the optimal responses from his students. Martin is a surf coach of integrity with the highest professional standards. I’ve developed coaching programs and systems that have helped many surfers win Australian titles, World Amateur titles, and qualify for the WCT tour. If your group want to learn my methods and the success it creates, please contact me for further details. I started working with Martin at 13 years old and stayed with him for my entire professional. After travelling around the world and seeing what others are doing and how they are coached, I am convinced that Martin is the most advanced coach to date as well as being a pioneer of the art. While Martin has always been known for his technique training, I believe that his contest strategy and observations are also peerless. 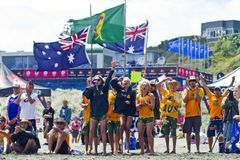 Martin can form a partnership with surf coaches globally to help them develop their surfers. A coach sends video footage of the surfers they are training for Martin’s comments and training recommendations. By doing this Martin becomes a silent partner, and the surf coach takes all the credit as the surfers become more successful. Throughout my time as High Performance Coach at Surfing Victoria and working with the Australian Junior Team I have consistently sent Martin video footage of the promising surfers I am working with. This has been not only a learning curve for my surfers but a huge learning curve for myself as a coach. The chance for me to get instant feedback from Martin on a weekly/monthly basis kept my surfers and my coaching skills on the pulse of what was happening word wide. I’m a better coach by having access to Martin and the knowledge he is willing to share. Martin Dunn is without doubt the premier coach in Australia. I love his mantra to share his enormous wealth of surf coaching knowledge with all who wish to improve their surfing and or surf coaching. My daughters and I have benefitted greatly after working with Martin, the girls in improving technique and competing and myself as a surf coach. I look forward to working more with Martin in the future and feel privilaged to be in this position. “Martin has been coaching aspiring surf talent for as long as I can remember. More importantly he has been mentoring other surf coaches as well. The knowledge he has passed along to coaches like myself has been invaluable”. Martin is an extremely qualified and skillful coach and has more experience in the field than anyone that I can think of. He is conscientious and hard working at all times, very organized and professional in his execution and he has helped many many people to become better surfers over the years. 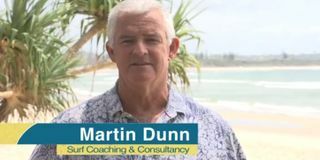 Martin’s time at the Surfing Australia Hurley High Performance Centre has been an invaluable contribution to Australia’s competitive future and Martin’s work in the area of correct technique and body positioning has become an international standard. I have always enjoyed working with Martin because we both share a passion for the sport of surfing and a desire to see its participants evolve to the highest level and we love it.